Apple’s first foray into scripted television programming is a Dr. Dre-fueled show called Vital Signs. The six-episode series should air this September, though Apple hasn’t released an official air date. Each episode, it’s rumored, is supposed to focus on a specific emotion. We’ve confirmed that JD McCrary, a young phenom, will feature in one called Innocence. 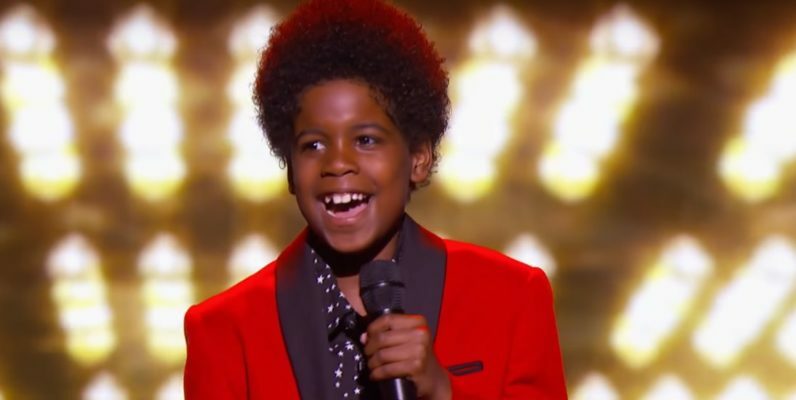 McCrary is a 9-year-old singer/actor/dancer triple-threat evocative of the late Michael Jackson. He’s got a great voice, and he’s making the right moves. In the last few years he has gone from talent shows, where he’s been called the new King of Pop, to Disney. This summer, thanks to Apple, he’ll be gracing Apple Music’s TV offerings this summer along with Dr. Dre, Sam Rockwell, and Ian McShane. The velvet-voiced kid is starring in Tyler Perry’s The Paynes on the Oprah Winfrey Network next year. He’s also appeared on The Eric Andre Show and Disney’s KC Undercover. His star is definitely on the rise, being a part of Apple’s first scripted show is remarkable. After hearing JD sing: I can’t be the only person hoping to see a Dr. Dre produced JD McCrary album.